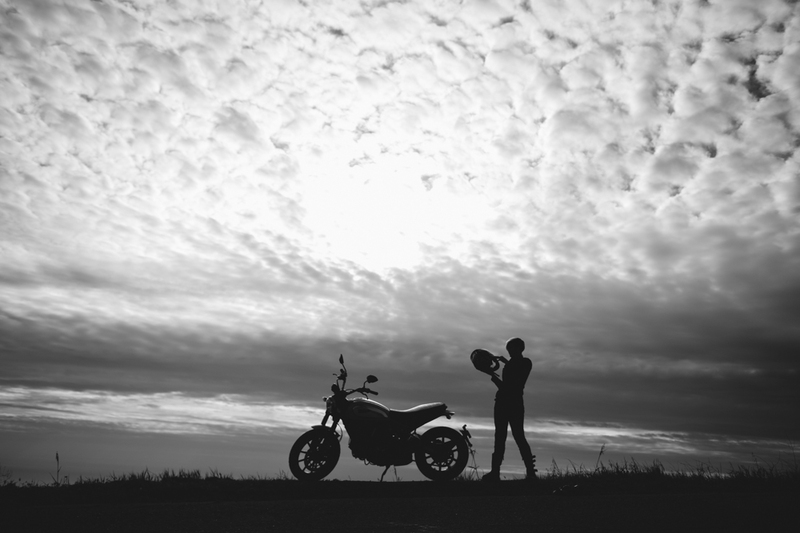 Recently Joy Lewis and I took off on our borrowed Ducati Scramblers for a photoshoot with talented photographer Dylan Gordon. You may recall the Double Ducati Scrambler ride story, as we both got pulled over and ticketed on the way there. Anywhooooo! Not the point. The point is, I just got to see the photos- so here’s a preview! One of my favorites- me with the Scrambler on the cliff side off Gibraltar Road above Santa Barbara. The light was so pretty that evening, all half diffuse in dappled clouds with the sunset. Can’t wait to share the rest of the photos with you! Make sure to check out Dylan Gordon’s beautiful photography at dylangordon.com.